PollEverywhere can be used to collect student responses. Make any image into an online jigsaw puzzle at Jigsaw Planet. 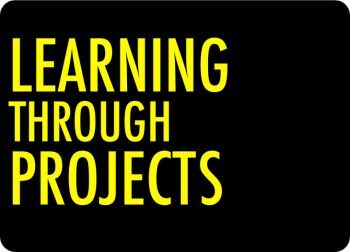 Try this jigsaw of the definition of project-based learning. iPad users can use the Up in Pieces app to make jigsaws from any saved images. Create a grading rubric with student input. Rubistar is a great place to design rubrics. Project Based Checklists is another place to help keep students on track with their projects. Popplet.com is an online tool and app for making mind maps. Tabbed browsing (Control-T) and Find on page (Control-F) can be very helpful when comparing information on different webpages. Remember that anyone can put anything on the web. Students need to be sleuths and approach their questions as a mystery that other may be trying to cover up. Read more about Google's Page Rank system. Make learning playlists using MentorMob. Read how other eduactors are using MentorMob (PDF). Show What You Know Infographic has mobile and web-based tools for sharing information in a variety of whats. Record audio using free Audacity software or online with Vocoroo, RecordMP3.org or Myna. Make talking pictures at Blabberize.com and Voki.com. Create online posters at Glogster.com. Create comic strips at Pixton.com. Use PowerPoint or Keynote to make an Ignite presentation. It is a presentation that is exactly 20 slides with each slides times to automatically advance every 15 seconds, so Ignites are 5 minutes in length. Pecha Kucha is similar to Ignite. Pecha Kucha has 20 slides that are times for 20 seconds each. Read more about these kinds of presentations. Tony's list of links for images. Create animations at GoAnimate.com or edu.xtranormal.com. Find sites similar to one you like at websiteslike.org and similarsites.com. iPad Users may be interested in PuppetPals, ShowMe, Splice, and SonicPics for sharing projects.